Perfect! It served great breakfast, excellent WiFi, clean shower facilities and toilet. Hot water and microcave for travellers looking for cheap meal alternaives from supermarket. Perfect location jus 3 mins walk from central station and huge supermarket nearby. Perfrct for people who are on budget and looking for decent place to stay. I have stayed for a whole week and move around and explore Switzerland using rail. Best hostel I've ever stayed at! Super clean, wonderful atmosphere, and a great value for money. 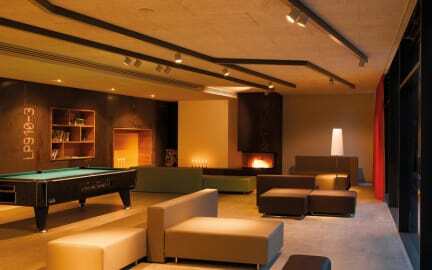 The location is perfect - right next to Interlaken Ost and a short walk from anything in Interlaken. the room had a sink, large lockers (locked by room key) for each guest, and a sliding door to separate the sleeping area from the sink and lockers, which was great for noise control. The staff was helpful and lovely. Couldn't have asked for a better stay. This place was amazing!!! Very convenient in all aspects!! We had a great stay here!! Very accommodating! 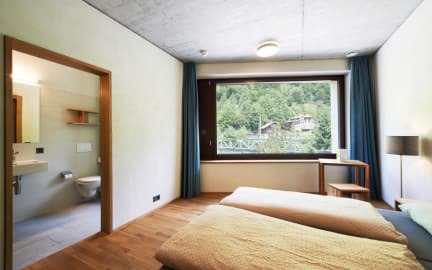 it's a very clean & comfortable place to stay.. near to Interlaken Ost station.. the staff also very friendly and helpful... will stay again in the future..
A well designed modern hostel in the best Swiss tradition, excellent staff including chefs preparing dinner as you watch. My single room with private balcony overlooked the River Aare and Interlaken Ost station, hard to better the location. Fantastic place to stay and the proximity to Interlaken OST is the best part. Enjoyed the lavish breakfast spread and an awesome service. Definitely recommend if you plan for a budget stay with all the necessary amenities. The only down side for me was the bedding.... You are given on arrival ONE sheet, and this sheet is supposed to be big enough to cover the mattress and then fold it over to cover your body (so basically there is no fitted sheet). You are not even given a duvet cover. Gross. Very unhygienic. I woke up constantly touching the bare mattress and the bare duvet cover as I roll around a lot in my sleep. The pillow was great though, and you even got a pillow case, winning?